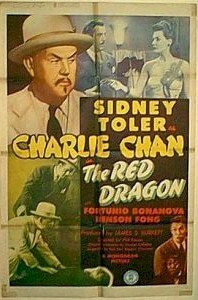 1948 - A stunning one sheet from this Charlie Chan classic. The artwork is just beautiful!! 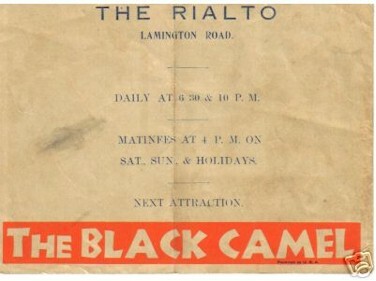 1948 - Great one sheet from the Chan classic. The artwork is stunning! Very good condition with small piece missing in upper left corner. Has some small separation at folds. Would be perfect linen backed. 1946 Beautiful insert (14x36") from this rare Chan classic mystery. 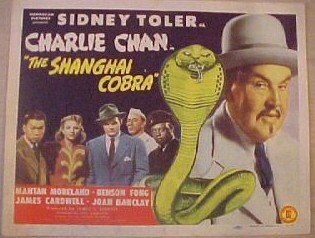 1945 - Original vintage one sheet from the early Chan classic with Sidney Toler. A very rare Chan title to find!! Good condition. Has tape on back on folds. But, linen backers could easily remove. 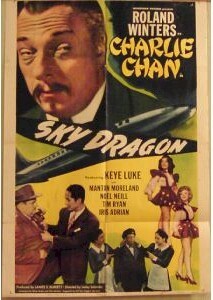 1949 - Beautiful ORIGINAL vintage one sheet from Chan's "Sky Dragon" starring Roland Winters. 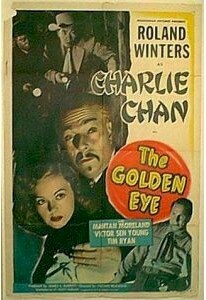 Like many of the Charlie Chan one sheets, the graphics and artwork are stunning!! 1947 - Beautiful vintage one sheet from this Popular Chan classic. Very good condition. There is NOT a piece missing on the right border, it is a tear that is flapped over. This along with any tears would disappear with linen backing. 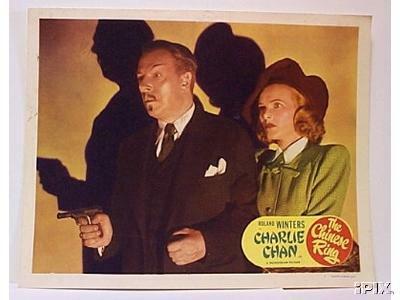 1940 - Stunning Vintage Lobby Card form this ever popular Charlie Chan classic. One of the most popular Chan classics. Great scene as they ponder evidence. 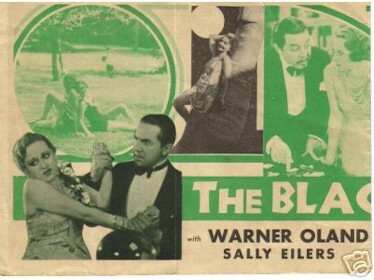 1940 - A very rare early Chan classic with Sidney Toler. Nice lobby card scene. 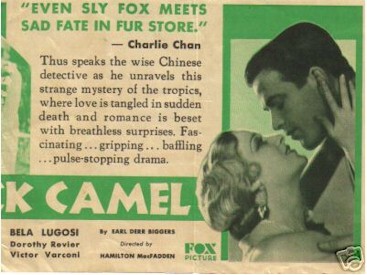 1947 - A stunning lobby card from another of the Chan mystery classics!! The graphics speak for itself!! 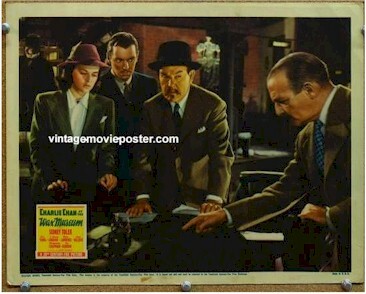 1947- Another great vintage lobby card from the Charlie Chan classic mystery's. 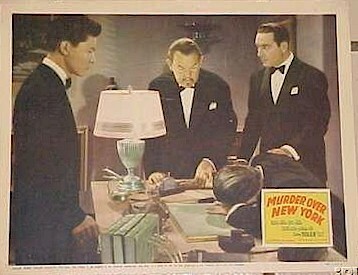 1945 - Original vintage lobby card. 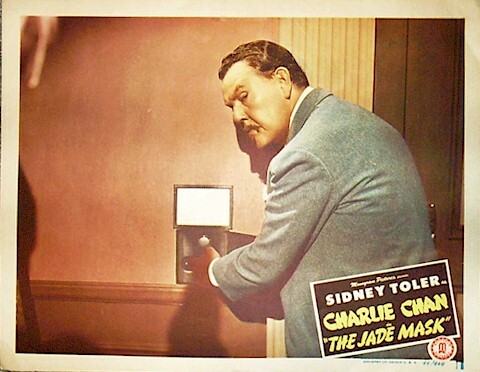 Charlie Chan, "The Jade Mask", starring Sidney Toler. Great scene lobby card with nice Chan close-up as he is up to no good..
1945 - Title Card - Sidney Toler. What a great Title Card with superb graphics. The combination of the animated Cobra and Chan is stunning!! These are my personal favorites!! 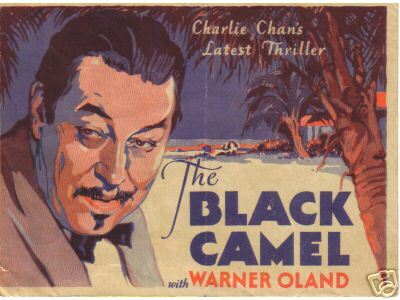 1931- Charlie Chan's "The Black Camel" starring Warner Oland. Here is a VERY RARE piece from a Chan title you will Rarely see surface on the marketplace. An original herald with great artwork and graphics on the cover and the inside of Oland and Lugosi. Also starring Bela Lugosi the SAME year he made that "other Movie" which made him immortal!! A real beauty!! Size: 6"x4.5" closed, 12"x4.5" open. We never see anything from this title ever surface. Very Rare!